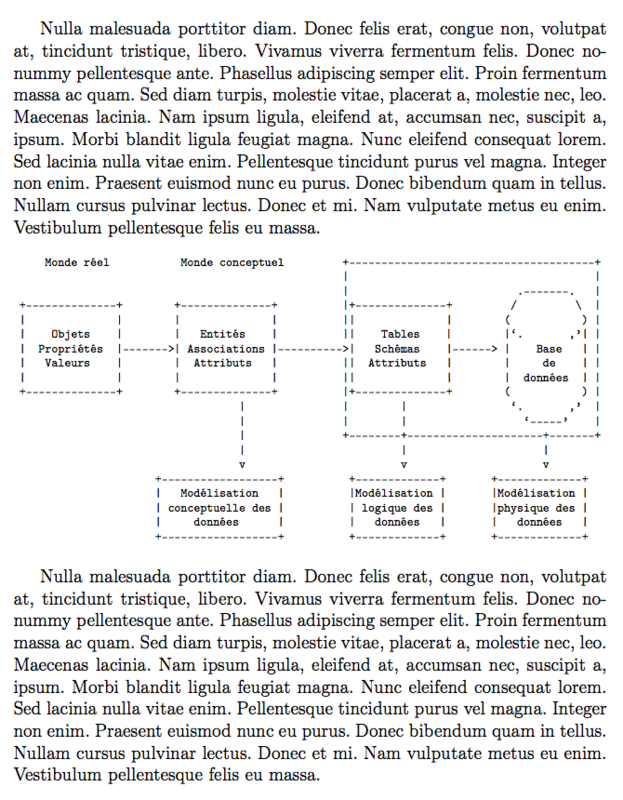 I want to add many ASCIIs Art images on my document. But If I use verbatim environment, the output is ugly ! The filecontents* environment is just to show that you can use an external file. I named it \jobname.art just not to risk clobbering my files. 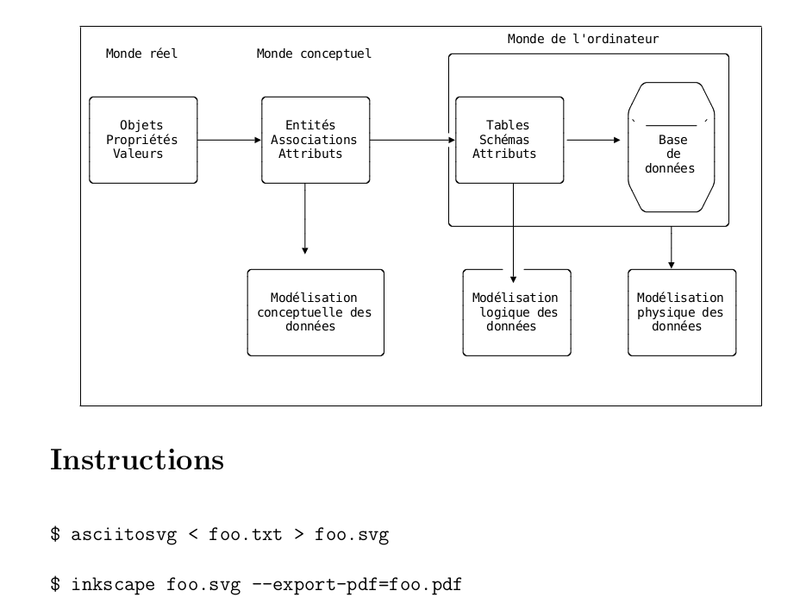 You could improve these diagrams a bit using an ASCII to SVG converter and then convert it to PDF to use as a simple image. I never made it before, but with asciitosvg-grid and your sample the result is not perfect but promising. Your mileage may vary with other diagrams and maybe with other similar tools. Monde réel           Monde conceptuel          .--------------------------------------. .------------------. .----- v ------. .--------------. ... in order to produce rounded boxes and avoid and put the three vertical arrowheads at different heights (otherwise first two are lost, it seems a converter bug). Minor pitfalls like add some arrowhead can be fixed manually editing the pdf in Inkscape with minor efforts, but the showed here is the original without any retouch. How to add indentation to all verbatim environment? is it possible to add line numbers to input files read using \verbatiminput? How to add line numbers to a program listing/code? How to add labels in verbatim env. in Latex? How to add verbatim in a float figure on right page? How to add a todo notes in verbatim environment?